So many ask about this Teepee that is pictured on my home page and featured on the Custom Teepee page. So far it has been my favourite Teepee that I have made. I just love the colours and fabrics used. And because it seems to be your favourite and so many have asked about it, I have sourced the materials again and have been able to make a couple more as people have requested. 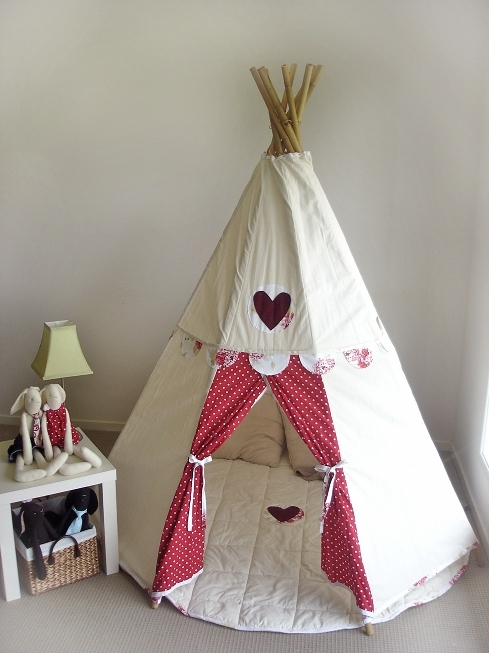 At this stage I only have enough fabric left for two more Teepees like this one. If you want one of these, you better get in quick. I won’t be able to get any more of this floral fabric once it’s gone. 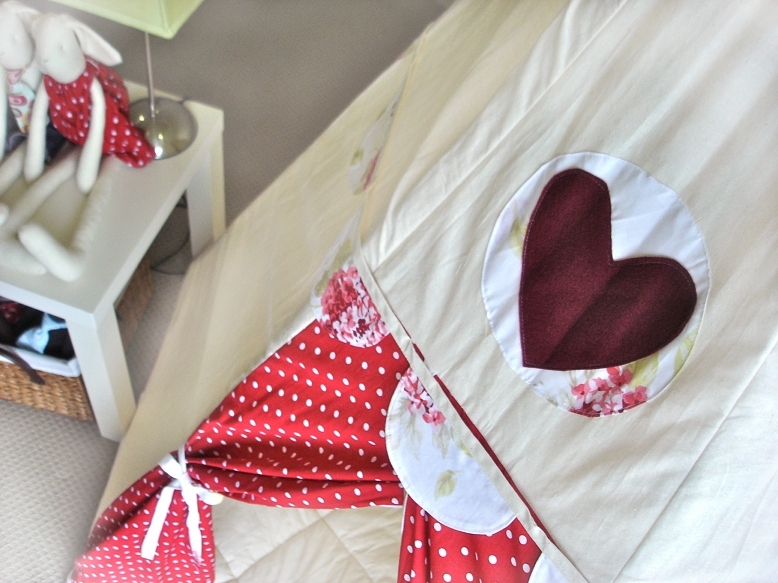 And don’t forget there is matching bunting and a play mat too. If you would like to place an order, go to the Orders page and fill in the details. 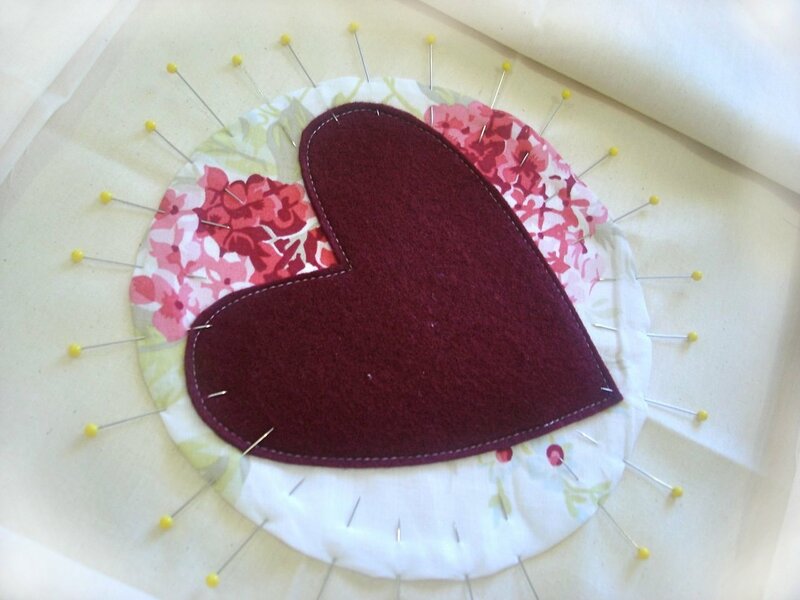 And this is the one I’m working on now for Jennifer. I think I need to use a few more pins 😉 What do you think?